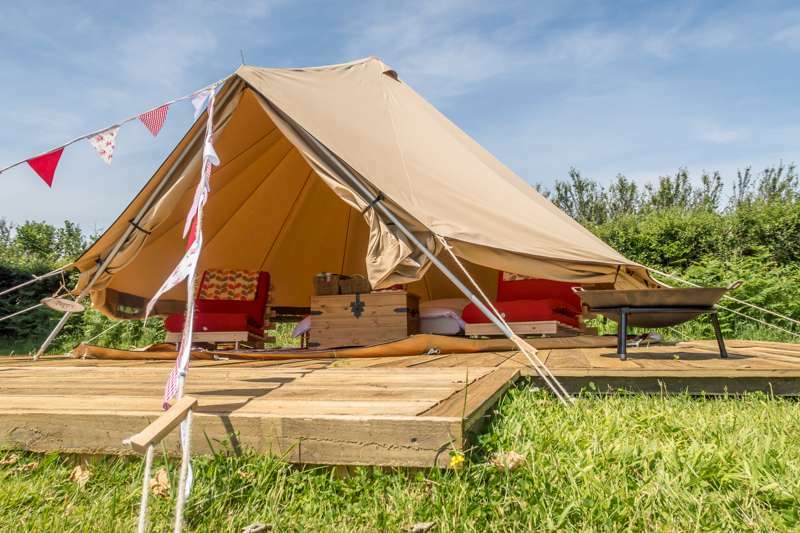 Hidden away amongst a warren of high-banked, tree-lined Cornish lanes, Tremeer Farm offers the ultimate test of your glamping credentials. To the untrained eye, the three structures all look like yurts. But one of these yurts isn’t, in fact, a yurt. It’s a ger. The distinction between the two, apparently, comes down to a subtle difference in the curvature of the roof poles. But the important thing is that they’re all cute little pods of canvas cosiness, whatever they happen to be called. The yurts/gers are nicely spaced out, giving visitors plenty of room to roam, and all are comfortably furnished with wooden floors, cosy rugs, a wood-burning stove, plus a full-size bed with feather duvet. 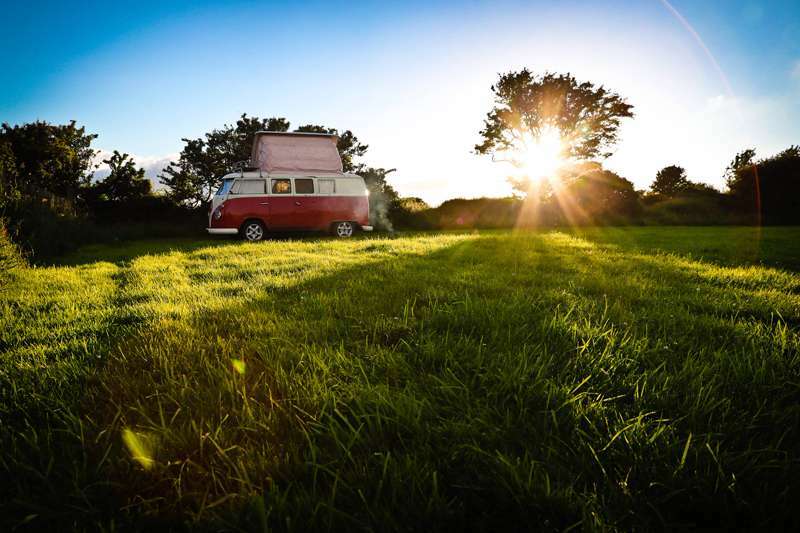 You can tell that owners Rob and Sarah (both avid campers) have lavished lots of love and a good measure of hard work on the transformation of Tremeer from working farm to a beautiful luxury camping destination. But true to the farm’s roots, you’re bound to bump into one or two animals during your stay. In fact, you may find it hard to avoid pet Kune Kune pigs Rosie, Piggley and Wiggley, who just love a belly rub – not to mention the clucking chickens, cute orphan lambs in the spring and the friendly Dexter cows in the nearby fields. Cooking can be a communal affair with the camping kitchens housed in a listed granary. Each kitchen is shared between two yurts and is well equipped with camp stove, fridge and everything you should need to prepare a hearty camp meal. The more adventurous can cook out on a BBQ, in the communal pizza oven, or on a campfire under the stars. 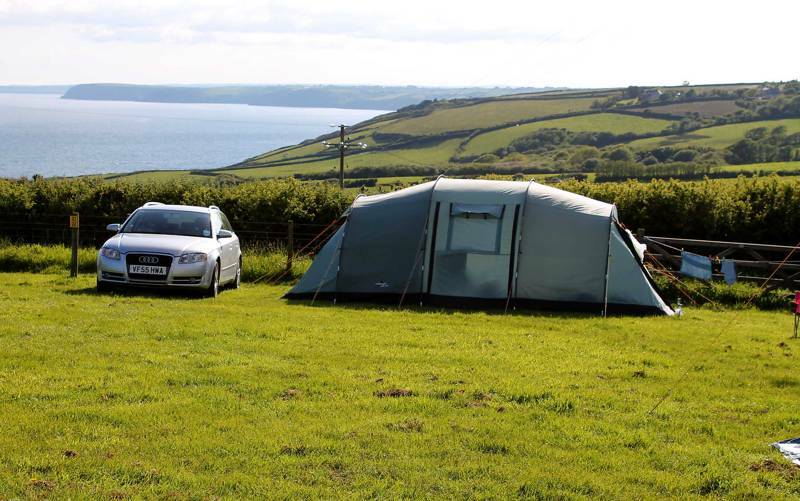 You’ll be spoilt for choice filling your time at Tremeer Farm as it’s only a short distance from Fowey, one of Cornwall’s most popular seaside towns. 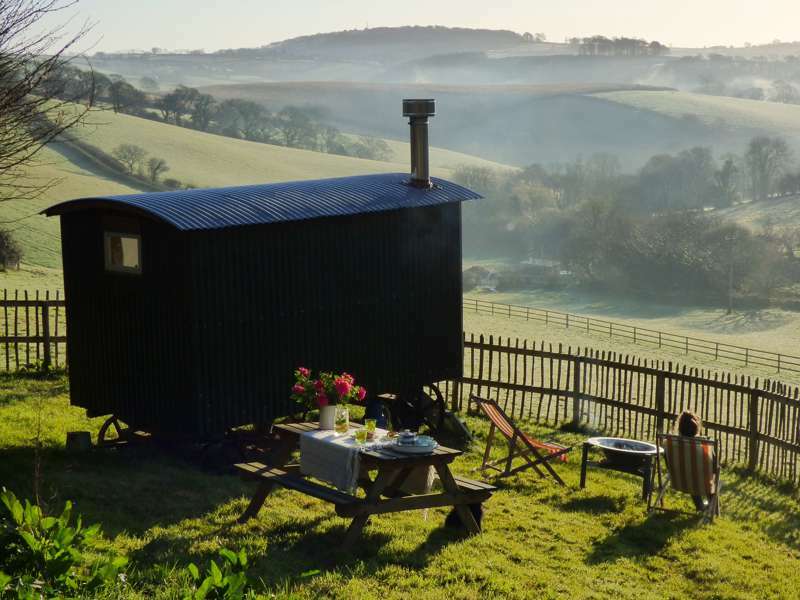 After exploring the hidden coves and stunning walks nearby (Cornwall’s South Coast Path is a few miles away), soak your tired muscles in the wood-fired cedar hot tub back at camp, before melting marshmallows or cooking over an open fire under the stars – real chilling, and glamping the Cornish way! 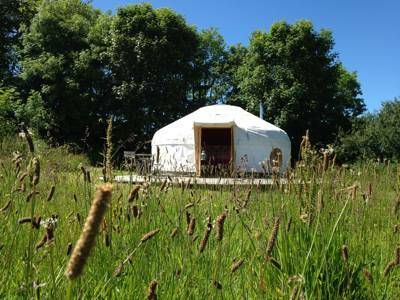 Tucked away in the Cornish Countryside, just over a mile from the South Coast Path, you will find Yurts Cornwall on a small traditional Cornish Farm. 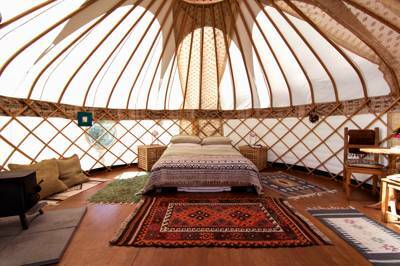 There are 4 beautiful yurts, furnished with brass beds and a wood burning stove, sleeping up to 4/5 people. There is also a funky barn conversion sleeping up to 8 with a large open plan living space and farmhouse table. 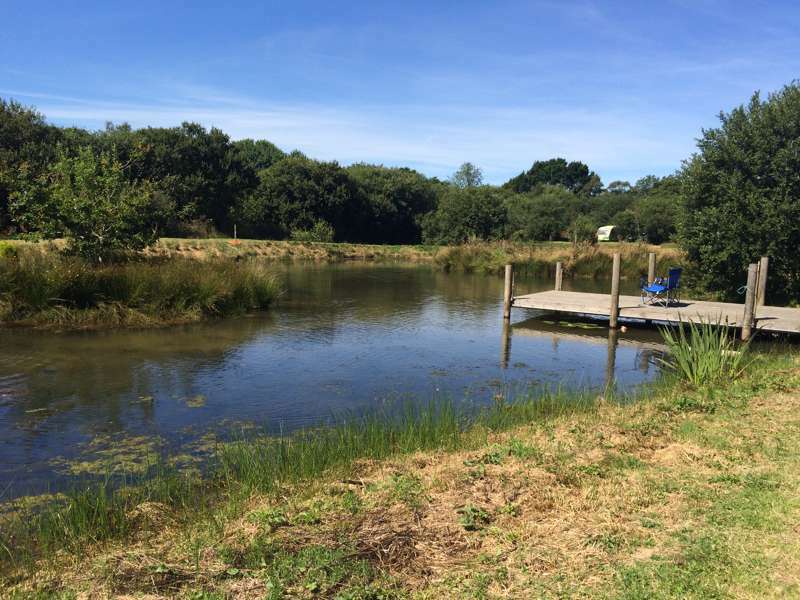 Relax under the stars at night in the wood fired hot tub, play badminton in the large rustic play barn or cook supper in the wood fired pizza oven. 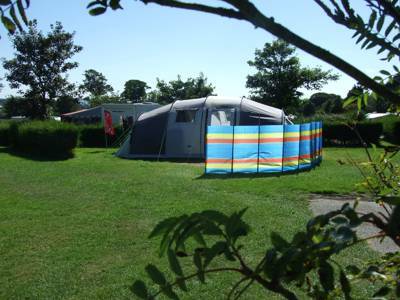 The yurts are well spaced apart making it perfect for romantic breaks or a family holidays. 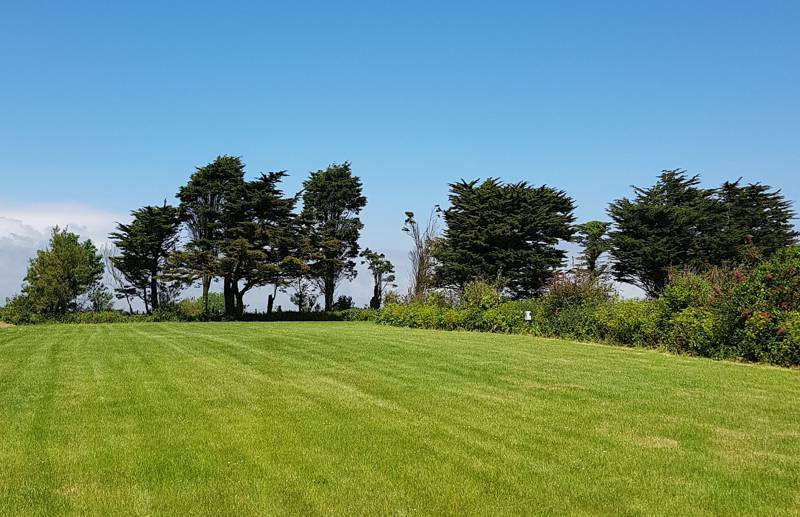 It is also an ideal location for groups as if you hire the 4 yurts and Long Barn you will have exclusive use of Tremeer and all of our facilities. There is a large rustic barn which can be hired for special celebrations. 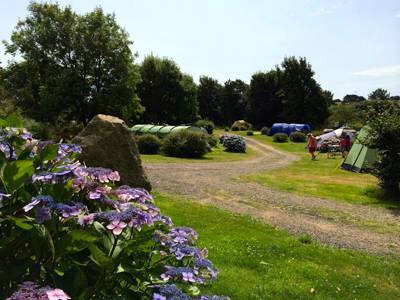 Glamping site on a traditional Cornish Small Holding situated on the South Coast of Cornwall. 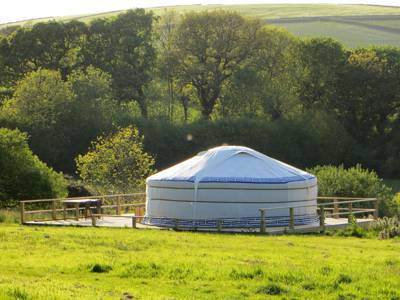 Four 18ft Yurts and our Long Barn accommodation. We can sleep 28 in total. Campfires allowed in pits. There’s a restored barn with a full modern kitchen facilities including fridge and microwave, spick and span toilets and hot showers, plus table tennis, indoor badminton and volleyball and a wood-fired hot tub. Gas & charcoal BBQ’s are also available for outside. Pizza oven for guests to use. Prices vary from £825 for a full week to 1-night breaks from £145 per night.